M.Sc in Physics at the Technion. Ph.D. in Nanoscience and Nanotechnology at the Technion. Participated in the Technion Excellence Program: 2004 – 2005. Gili took courses from advanced studies in Physics. She did a research project during her last semester under the guidance of Prof. Noam Soker from the Physics department. They tried to find a model that explains the departure from axisymmetry of the Eta Carinae nebula which is a binary system shaped by jets. In June 2005, Gili received an Award for Outstanding Student Achievements (for her undergraduate studies) from The Knesset (Israeli parliament). Gili received her Ph.D. degree from the Technion in 2012, as a graduate of the Multidisciplinary Program in Nanoscience and Nanotechnology. She worked in the Biomedical Optics laboratory under the supervision of Dr. Dvir Yelin. 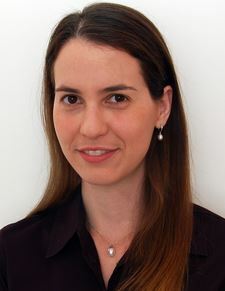 In her research, Gili developed novel techniques for nanometer-scale manipulation of biomolecules using ultra-short laser pulses and gold nanoparticles, including controlled release of chemotherapy drugs for cancer therapy. She won the Converging Technologies Program fellowship for excellence, given by the Planning and Budgeting Committee of the Council for Higher Education, and the UNESCO-L'ORÉAL Fellowship for young women in life sciences. Gili won the Technion – MIT postdoctoral fellowship and joined the Chemical Engineering Department in MIT to work with Prof. Michael Strano. In her postdoctoral research, she developed novel optical nanosensors for proteins using fluorescent single-walled carbon nanotubes. Her research was highlighted in Nature News, and MIT News. Today (2018): Gili joined the Physics Department at MIT to work with Prof. Jeremy England on nonequilibrium self-assembly, stochastic thermodynamics, and emergent collective phenomena under feedback driving. Recommendation to Program participants: Take your time to establish a broad base of knowledge during your undergraduate studies by taking classes from different departments, and use your academic advisors to optimize the choice of courses that best fit your interests. Doing so will help you to prepare yourself for conducting cutting edge, multidisciplinary research in the future.